Everyone! Roaming the streets and in the surround office buildings. Muffin Break lights up Christchurch with a random act of kindness. Engage had two teams spending 30mins in a medley of locations trying to cover as much of Christchurch as possible. 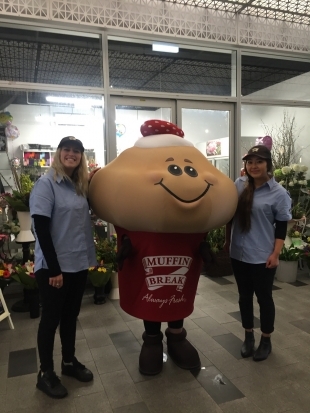 Armed with a huge Muffin man mascot, free drinks, muffins and coffee vouchers there was smiles everywhere we went. Kids and adults loved the mascot, was great photo op which meant for lots of shares all over social media. 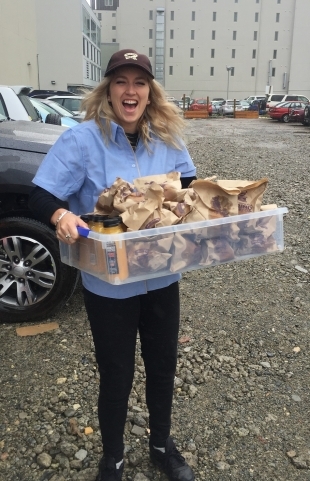 People were educated on location of Muffin Breaks in the areas and key sales points.